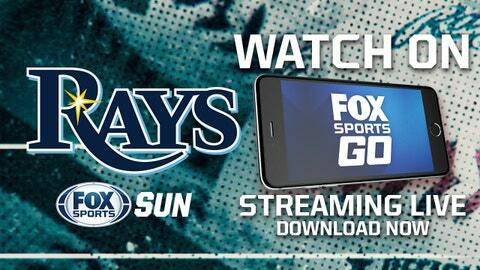 ST. PETERSBURG, Fla. — The Tampa Bay Rays are playing dominating baseball at home, winning eight of 10 games at Tropicana Field, but they will have a challenge continuing that this weekend against a Houston Astros team that is 4-1 on the road and has won seven of eight overall. The division-leading Astros almost have to fare better than the Tigers, who were held to three hits Thursday and continued a slew of defensive gaffes that factored in the Rays’ early lead. Tampa Bay’s six-game home win streak is its longest in nearly two years, and it is only the second time in their franchise history the Rays won at least eight of their first 10 home games. Houston took three of four games from the Angels — including a 2-1 win Thursday in which the Astros managed only three hits, though two of them were home runs from Carlos Beltran and Jake Marisnick. 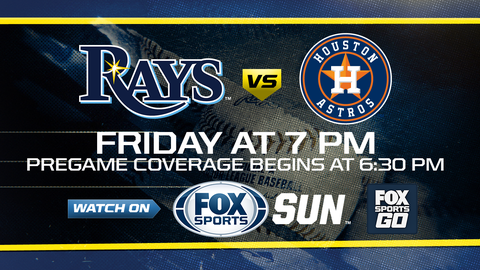 The Rays open the series on Friday with right-hander Alex Cobb (1-1, 4.50 ERA), who has faced the Astros once, striking out 11 in a 2014 win at Minute Maid Park. Houston counters with right-hander Mike Fiers (0-1, 5.40 ERA), who is 1-0 with a 3.38 ERA against the Rays, both starts coming last season. Beltran’s home run was his first with the Astros, another bat clicking in an offense that has propelled Houston to eight wins in the past 10 games. Marisnick hit his second homer of the season. He is batting .313 with a .450 on-base percentage. The Astros allowed a total of two runs in their past three wins, so the Rays, even with the momentum of the Detroit sweep, will have a challenge if they want to continue their strong play at home. After a 1-6 road trip last week put the Rays at 6-8, Tampa Bay rallied back to a winning record halfway through the homestand.